Summer is the most popular time for families to move, but you may get a better deal if you buy a home in the Fall. Peak home buying season is over, and that is a good thing for people who are ready to buy a home. 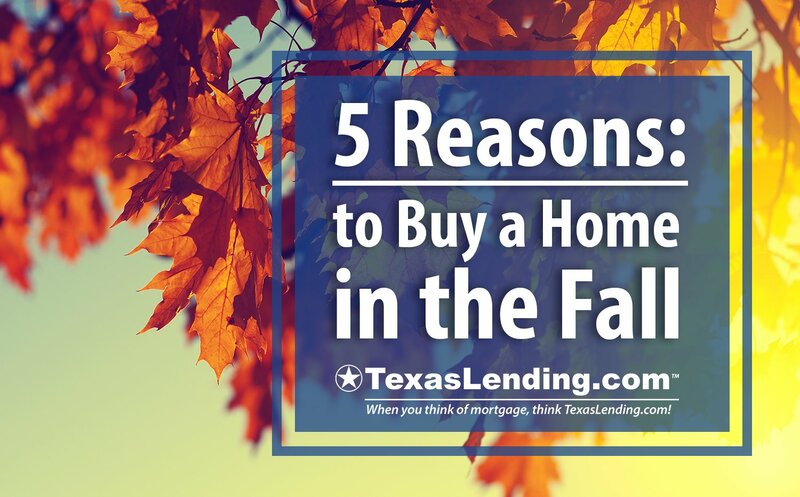 This article highlights 5 fantastic reasons to buy a home in the Fall. Likely the best reason to buy a home in the Fall is that the rush of the Summer home buying season has ended. The families that were eager to buy a home before school starts, are no longer competing to buy homes. Less competition, comes with some great benefits. You may be able to make a lower offer, when multiple offer situations don’t raise the price. Fewer potential buyers can also mean that you may have more time to make a decision. Competition can shorten the time a good home spends on the market and raise the price, however buying a home in the Fall could be the ticket to avoiding these trends. Sellers have a different perspective in the Fall than they may have had in the Summer. If sellers listed their home in the Summer months, but didn’t sell, they may have priced the home too high. By the Fall they may be ready to lower their asking price. Homes that are listed for sale in the Fall could be due to the sellers career change or a desire to avoid the chaos of selling in the Summer months. However, these types are sellers are motivated differently than those in the Summer market flood and are more likely to be flexible. Often sellers want to sell before the Holidays rather than risk the home sitting on the market through the lull of the winter months. Scheduling an inspection, meeting your Realtor, scheduling repairs and other home buying service needs can be difficult during the peak home buying season in the Summer. By contrast, buying a home in the Fall, often means that these service providers have more time and attention to dedicate to your goals. 4. The Weather… Need we say more? Okay, maybe we should expand on the topic of weather. Many people love the weather in the Fall, and for good reason. Going to open houses is more pleasant in cooler weather. Fall weather is also better for moving and transitioning to a new home. In a previous article we made a list of things that every home owner should done to increase safety in their new home. In the Fall, the end of peak home buying season intersects with the push for appliance and furniture stores to meet their end of the year sales goals. This means that they will be offering some big discounts to get customers in the door. You can take advantage of these deals as a new home owner in the Fall. If you are ready to buy a home, the Fall could be the best time for you to buy. We can get you pre approved for a home loan in less than 48 hours. Reach out to us today to get started.